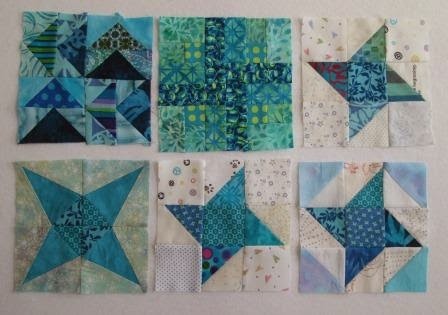 I got some 6" sampler blocks done in the Teal and Aqua, this month's colour. I keep working on the Rainbow Scrap Challenge 2014. I am not crazy for the top center block. I did not get enough contrast but I guess in a sampler, no one will notice the one little block. I also did a teal spool but I did a mistake. I made it too tall. 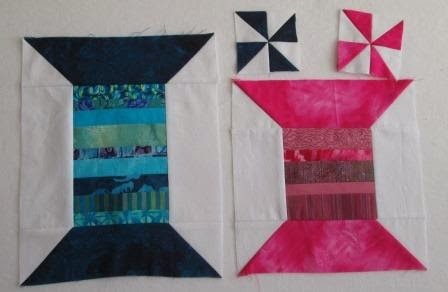 The pink one is 8" sq and the teal one is 10" tall. Oops. I think I will just have to work around it. Not sure what I will make with these blocks. 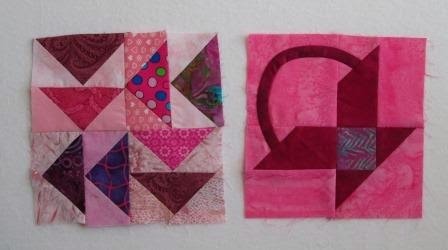 I also got a few pink sampler blocks done. Sorry I just had trouble putting the pink away after last month. Puppy is a little knotty. She has been bring the bath mat to the dog bed. Still Cute! 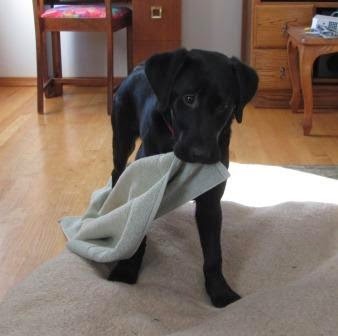 Is your pup trying to keep her bed clean? It would be easier to wash the bath mat. Love your blocks - especially the little pink flying geese - it's darling. Love your teals, but the sweet puppy knows what she want for sure. You have been busy. Lots of pretty blocks. Puppy is so adorable. Fun photo of your knotty puppy! Like your teals . . . Your teal and pink blocks look great. Lots of pretty scraps there. The spools are so much fun to make in any size. Using up those little strips and having such a terrific result is so rewarding. I'm sure you could shorten the teal spool if you wanted to - actually looks like it would be a pretty easy fix. Your puppy sure is a cutie. I second Melinda you could shorten the teal spool it just means getting busy unpicking! Keep thinking I will make a quilt with spools, yours look so good.